Few weeks ago I had a pleasure to visit Micro Art Studio in Gdynia, Poland. I saw the company from inside, I had nice chat with guys from Micro Art Studio, producer of Wolsung, Discworld miniatures and many gaming accessories. I also had the most awesome game of Wolsung Skirmish Game, with Łukasz – one of the creators of the game. Me: What are the beginnings of Micro Art Studio? Sebastian Makowski: In 2005 I officially started my company called Micro Art Studio. 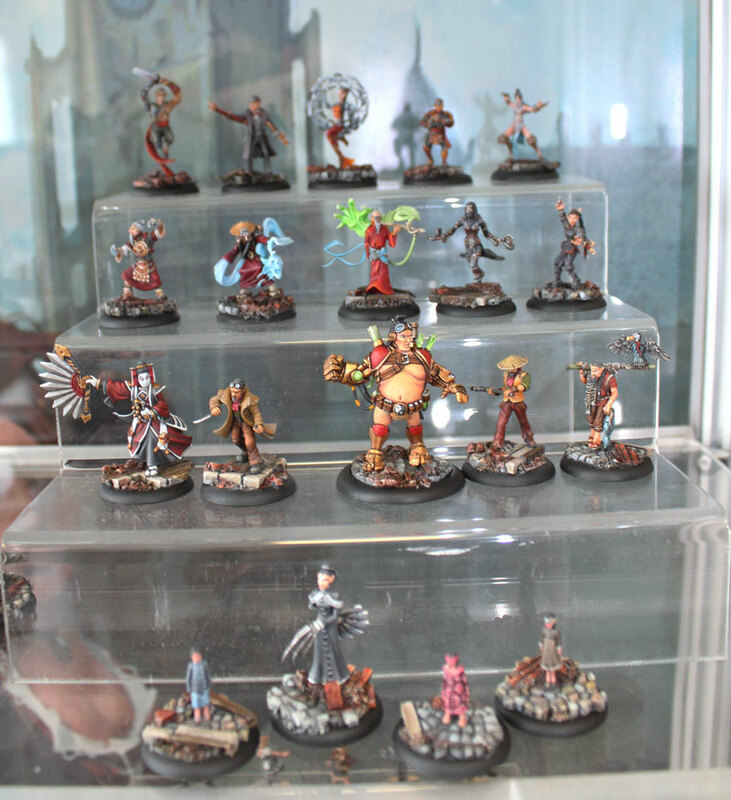 So it’s 10 years now… It happened that I always was passionate about miniatures and miniature games. I did lots of commission paintings. Right now the time has changed and we don’t do this anymore. The market has fluctuated, prices have changed and, I think it’s not that profitable anymore. And the very beginning of Micro Art Studio – at first we were just bunch of friends and we decided to do something more with our hobby. I was lucky enough (or maybe unlucky at that point), that the company I worked for had some financial problems and I haven’t got my salary for 2-3 months. I was commission painting minis so I was not concerned by money problems, but at some day I said to myself: OK. It’s time that my hobby will become my profession. And that’s how Micro Art Studio was born. Me: So, at the beginning, miniatures commission painting was your first field of operation? Sebastian: Yes. And commission sculpting. At this moment I met my ex-partner and we started to paint and sculpt together. Unfortunately we split up after some time. Me: But with time profile of the company has changed a little during the years? Sebastian: Yes, we started as a small group of painters, who were meeting in various places. There was no fixed meeting point – we worked in many different places. At some moment we hired two guys who took care of marketing and customer communication. And one of these guys found cool place for rent in Scientific Park in Gdynia. It was brand new location and there was plenty of office and storage space to rent, so we chose two rooms and small basement. With time our HQ was growing. 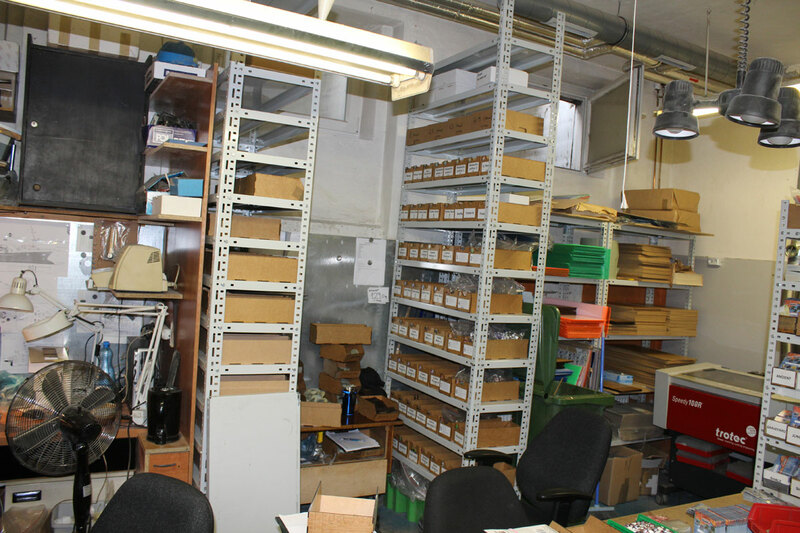 Right now those two almost empty rooms are piled with stuff and we are renting new larger (220 square meters) basement. And right now we are hiring 18 employees. Me: So there’s impressive progress. And when you have decided to handle bases and sceneries? Sebastian: At very beginning I was commission sculpting bases. I always liked that my miniatures have nice basing, so I had experience, but manual sculpting bases for entire army was difficult task. My ex-partner know exactly how to implement the proper technology to cast resin bases. So, I quit with sculpting them by hand and we start the production. I simply focused on designing new bases. And I still do. I really enjoy doing this. Me: You personally designed all the bases in Micro Art Studio offer? Sebastian: Yes, but not all of them. I think, around 50% are mine . 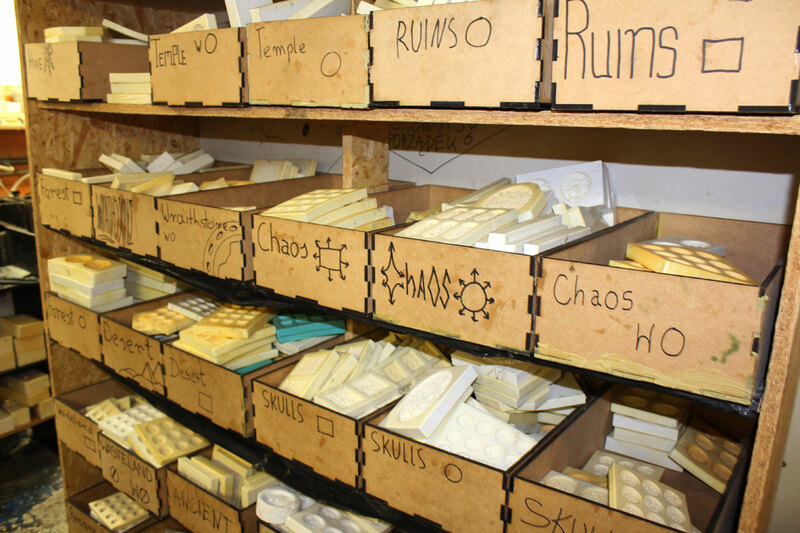 And there are more bases here. Ready to be shipped:). Me: OK. And what about terrains. You started to manufacture them in more or less the same time as bases? Sebastian: No, scenery in our offer was appearing slowly and gradually. At first we were small growing company. At some point, we’ve given up a little – everything in the company seemed to perfect, but all of the sudden two months in the row we haven’t got enough orders and it started to falling apart a little – you know, you have to pay the rent and salaries. And this situation makes you realize, you need to put some more effort. That stressful situation put me in even more creative mood. I had even more ideas. One of the first I have introduced was producing Discworld miniatures. 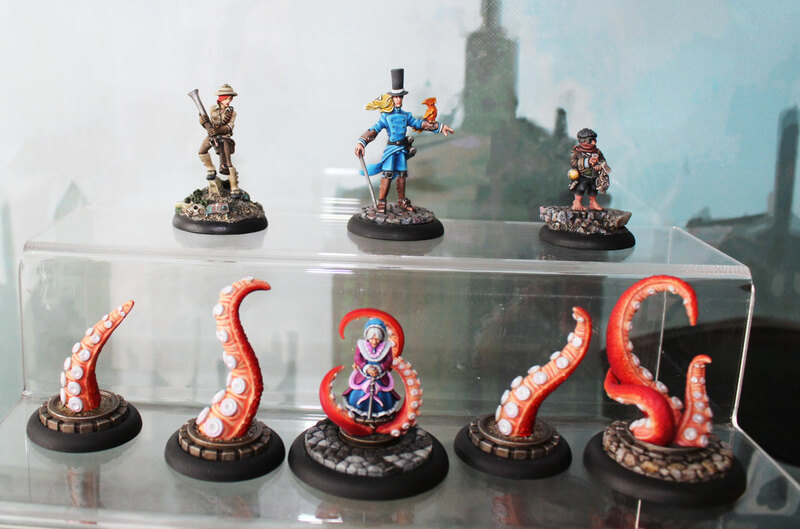 I’m big fan of Terry Pratchett, and I was thinking: I would really like to have nice miniature from Discworld series on my shelf, so maybe there are more people like me. I decide to give the idea the try and we made one miniature to present it to Prattchett’s representative. He liked the idea and we could start our Discworld miniature range. Discrworld production gave us the necessary impulse to expand into new fields. The sales of new miniatures were growing nicely and this demand pulled us up to the next level. We got so many new ideas – like producing our own terrains for example. The only problem, I wanted to find the technology to start relatively cheap and high quality production. Resin was out of the question – it was too expensive. 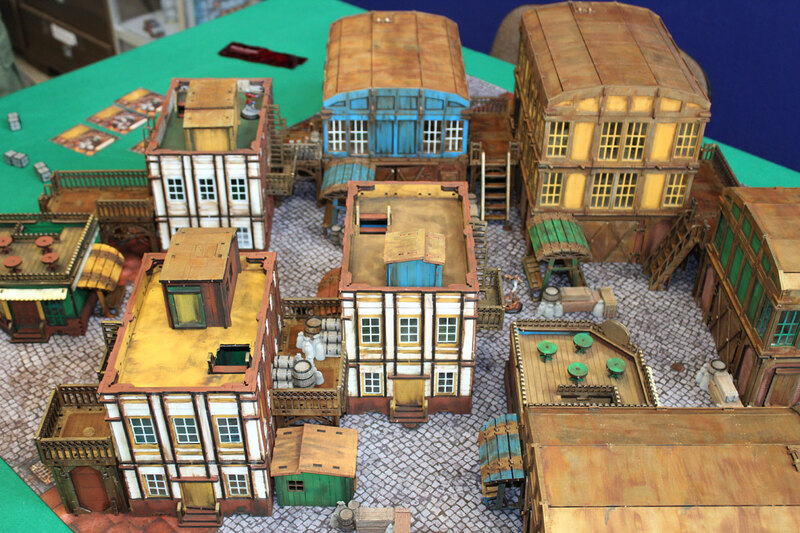 At one of conventions in UK noticed some laser cut scenery pieces, but back then the available offer was – some simple fantasy huts, nothing complex. I realized , this could be the way to manufacture our own terrain. So I gave it a try – at first I was cooperating with some company which were laser cutting things from fibreboard. To be honest, it was all based on trials & errors. I cut some pieces to assemble and usually the first version haven’t fitted properly. 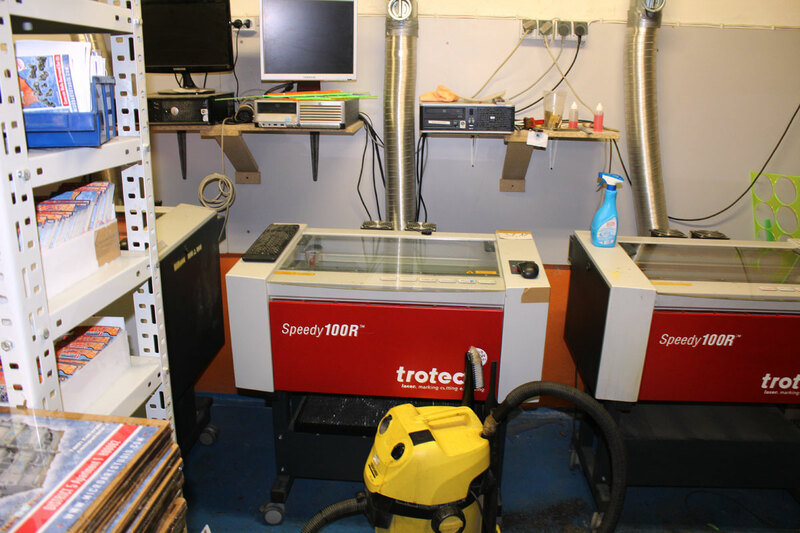 So I have to do this again, and again… It was very inconvenient so I finally have decided to buy my own laser and cut all necessary stuff by my own and slowly we started this. I don’t want to brag, but I think we kind of started the fashion for HDF scenery pieces. Also collaboration with Corvus Belli (producer of Infinity The Game) helped us a little. Infinity was the system that was growing rapidly, but what I noticed – to make the game more attractive, you need lots of buildings, and on the market the offer for Infinity was not so big. So I presented my idea and sample project to Corvus Belli and asked them, what they think about it. They liked it a lot and I can say it was great success. Me: What year exactly it was? Sebastian: wow, let me think… it was about 5 years ago. 2009 or 2010. Infinity is amazing game, but I think our terrains had some small part in its growing popularity. 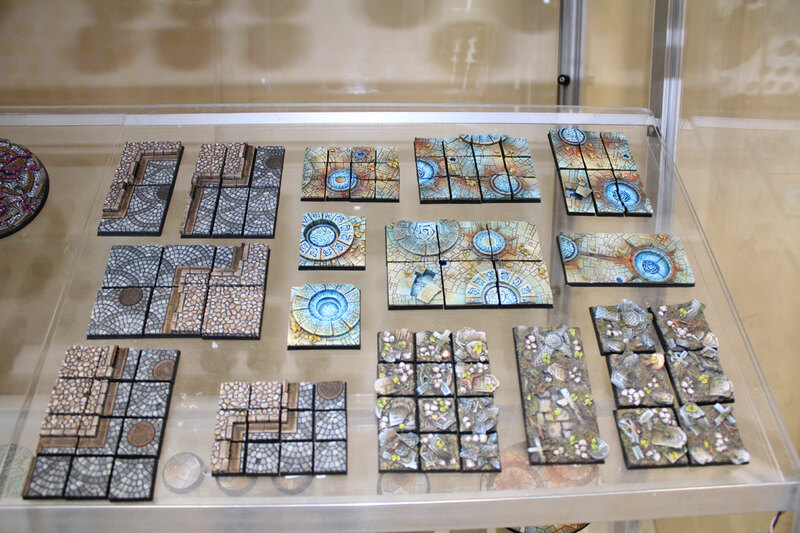 Right now there’s no problem with obtaining scenery pieces to Infinity – plenty of them from many manufacturers, but 5 years ago, Micro Art Studio was the company which begun all of this. Me: What was after pieces of scenery? Sebastian: I always had this thing – that I wanted to release my own game system. Generally when you run miniatures oriented company, this thought is almost always with you. Start the game. Let’s do our own miniature game. We were able to produce nice miniatures at that moment and we just needed some nice fluff and set of rules. At one of game conventions I met my friends from “ Kuźnia Gier” (English: Games Forge), the publisher of Wolsung RPG and we started to talk. 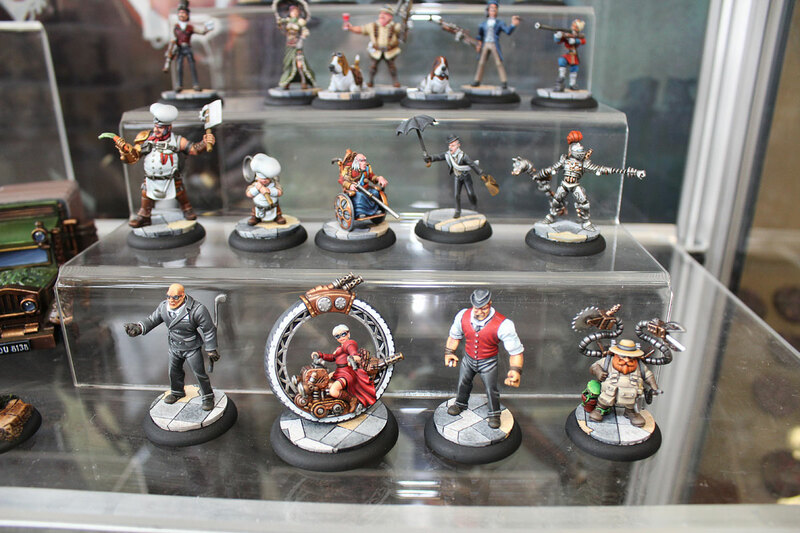 I really like the whole Wolsung fluff, the idea of XIX century steampunk/fantasy game is great, and I came up with the idea of making Wolsung miniatures and they have agreed. 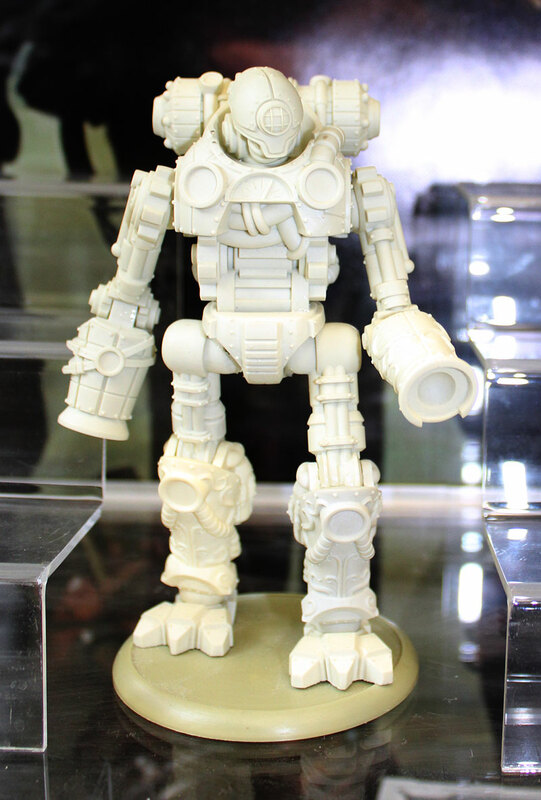 We have designed and produced 4-5 Wolsung models, but for the time being we haven’t got any rules to them. Only miniatures. After some time, I thought – we could create rules for these Wolsung miniatures and finally made my own dream come true. I was lucky enough, that in Micro Art Studio crew we have few guys who are quite experienced players and they were able to create the rules for Wolsung miniature game. 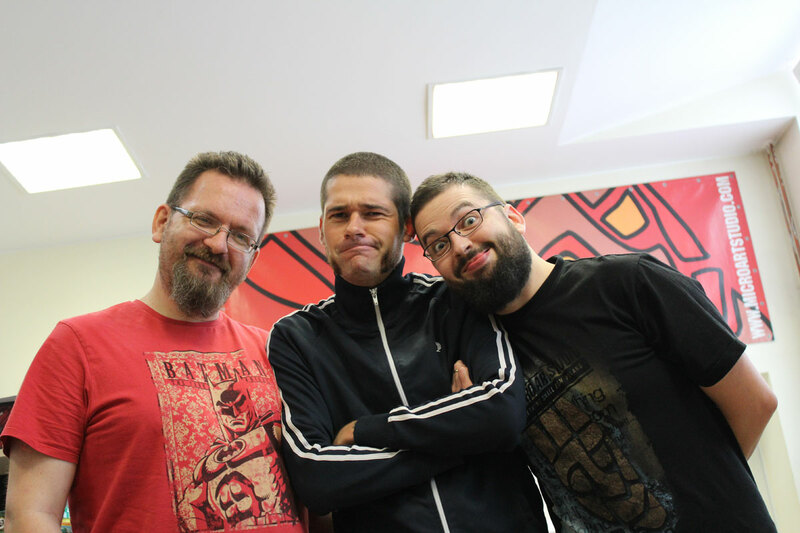 In 2011 – Janek Cieslicki, Łukasz Perzanowski and Wojtek Chroboczyński have been thinking, creating and testing the rules for Wolsung. It was all nice, the rules are balanced and the system is pleasant, but during that time my ex-partner and I, we were splitting up the company. In fact we had to share all the products between us and I have to made up all the products we’ve lost. For example we’ve lost almost half of bases designs, and as bases were are flagship product and our priority was to rebuild our offer. So Wolsung was somewhere in the background, and we were forced to postpone promotion for about two years. Right now, we are back and we can finally start all over again with Wolsung. We’ve launched Kickstarter campaign and at right now we have sufficient number of models to move on. Wolsung table with all the buildings nad battlemat. Me: Are there some distributors of Wolsung? Sebastian: Yes, we will have distributor in Germany for example. German market is huge and it’s very important for us to get in there. Despite appearances, there are many people who don’t like to play games in English. They prefer their own national language. 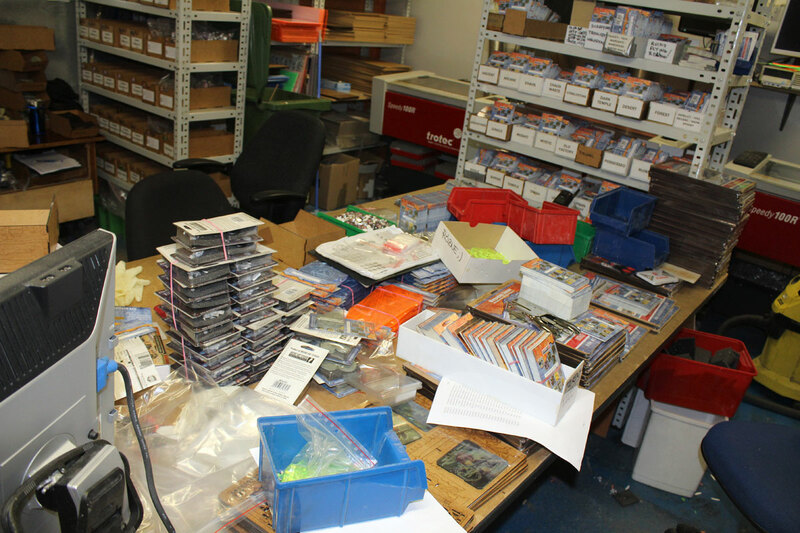 So our partner in Germany will translate the rules and all will be ready for Games Fair in Essen. Me: Awesome. And what about other plans, beside Wolsung? Sebastian: We have some plans. First of all, the new thing we’d like to expand with are the battle mats. Right now, we have mats for Infinity, for X-wing and some mats for card games. Soon there will be mat for Wolsung available in open sale. But generally we have some new ideas we’d like to develop. It’s not anything new – some companies already have that product in their offer. I’m talking about whole battle themed sets – battle mat, and whole scenery to it. So for example you are playing Tyranids and you will have whole hive table with everything ready to play. I think this is the product, it will be demand for – everything is one set. We would like to start the production from the foam ( resin scenery is too expensive), and the price could be reasonable. I think, such themed battle tables would cost about 300 Euro, and in my opinion is not that much. Me: So, Wolsung, themed battle sets. Everything sound so exiting. Anything else? Sebastian: Yes. Every month we will be trying to release some new products. We will invest more into round bases. 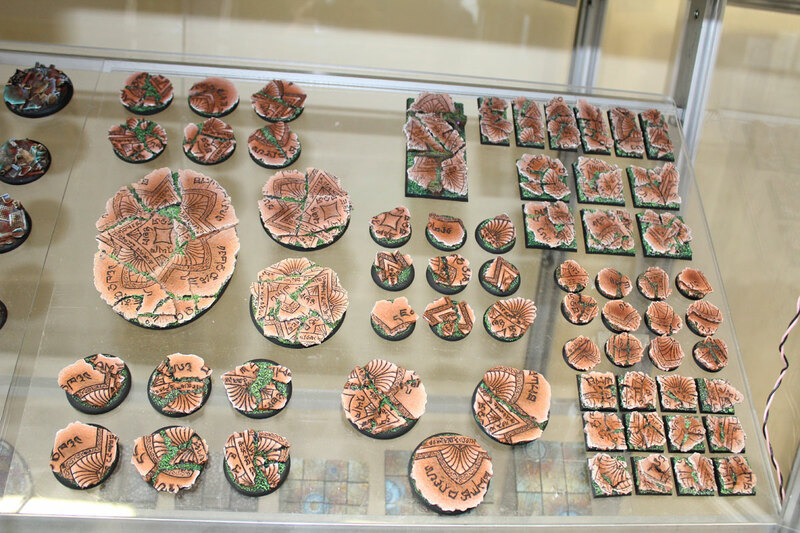 As you know – Games Workshop is quit to support square bases, and probably round bases for skirmish games will the standard soon. I don’t know if it’s good or bad – we will see. Personally, I’m glad because in Micro Art Studio, square bases are just small percentage of all sales. We also have some ideas for Wolsung. We would like to introduce some scenarios, where the player (or players) are against the game itself. We have, for example, the model of giant robot golem, and it will have the rules and set of cards to act automatically on its own. The scenario could be something like that – the giant robot has rebelled and the players try to annihilate the threat to the city.There will be exciting times ahead of us. Me: Great. I wish good luck with all Micro Art Studio present and future projects. And thank you for the talk.